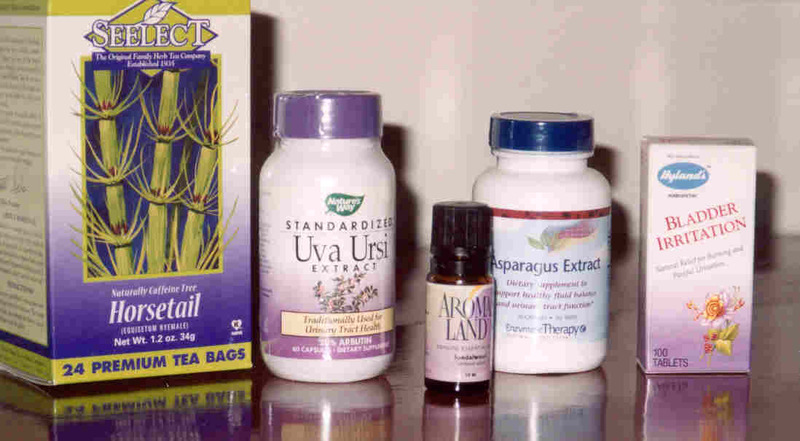 This two-part article summarizes various natural alternatives for fighting urinary tract infections (UTI), an aggravating, recurring health problem for many individuals with spinal cord injury (SCI) and dysfunction. Part 1 underscored how these natural alternatives can help preserve the future effectiveness of life-saving antibiotics, and specifically discussed how certain foods and nutritional supplements, such as cranberries, blueberries, and the naturally occurring sugar D-mannose, contain substances that inhibit infection-causing bacteria from attaching to the bladder lining. This part describes other naturopathic UTI-fighting alternatives, including herbal medicine and essential oil and homeopathic remedies. Before modern medicine started emphasizing chemically synthesized drugs, herbal remedies were the cornerstone of most of the world’s healing traditions and even today, are used by 80% of the world’s population who cannot afford Western pharmaceutics. As concern grows about adverse drug side effects, over a third of all Americans are once again turning to herbal remedies to treat diverse ailments, including UTI’s. Although both conventional and herbal medicine have botanical connections, the latter relies on natural substances of infinite complexity to address a broad sweep of bodily experiences. In contrast, pharmaceutically manufactured chemicals target specific disease symptoms and are more likely to produce side effects because they lack the complexity of the natural product that provides buffering for a slower and more diffuse action. Because herbal remedies contain physiologically active molecules, side effects can occur; although this risk is low, discretion should be used as in the case of all medicines. However, the 50-100 Americans who die from herbal remedies annually is negligible compared to 106,000 fatalities from adverse drug reactions in hospitals alone (Lazarou, et al, J. Amer. Med. Soc., Vol. 279, No. 15, 1998, pp.1200-1205.). Many urinary-system herbal remedies have a long history of use by both Western and indigenous (e.g., Native American) cultures; have been listed in numerous official medical resources before our focus on synthesized drugs pushed them to the sidelines; and even today, have been often sanctioned by European governments in efforts to reconcile and integrate herbal and modern medicine perspectives. Golden Seal Root, isolated from a North American woodland plant, contains an anti-bacterial compound called berberine. Corn Silk, prepared from the stigmas of corn plant female flowers, is valued for urinary system support. Birch, the deciduous tree, possesses many antibacterial substances. Often the antibacterial agents in herbs, volatile essential oils are extracted from plants using steam distillation and used in aromatherapy. These highly concentrated oils are often complex mixtures of chemicals possessing wide-ranging properties. The chemicals in one drop of essential oil can be the equivalent to thirty cups of an herbal tea. Essential oils can fight diverse infections, including the UTI-causing E. coli bacteria. UTI’s can be treated with baths and massages using, for example, sandalwood, pine, chamomile, cedarwood, juniper, bergamot, fennel oils, tea tree, and niaouli, and cajeput . For example, a massage oil containing sandalwood, niaouli or cajeput can be rubbed directly over your lower abdomen above your pubic bone and lower back kidney region. These concentrated essential oils are usually diluted with some sort of vegetable oil or lotion before being applied to the skin. Homeopathy is a popular alternative healing tradition developed by Dr. Samuel Hahnemann in the early 19th century. He discovered that substances causing illness symptoms in a healthy person could be used in exceedingly low doses to cure similar symptoms when they result from illness. Homeopathic remedies can be prepared from both organic and inorganic substances. Although organic remedies are often confused with herbal products that bear similar names, these remedies are based on fundamentally different principles. Specifically, prepared by a process of a successive cycle of dilution and shaking, homeopathic (unlike herbal or essential oil), remedies are virtually bereft of physiologically active molecules. Homeopathy’s healing effects are mediated through a retained energy imprint of the original, pre-dilution substance. Because this runs counter to molecule-dependant pharmaceutical principles, conventional medicine has shunned homeopathy in spite of a long-history of often very effective use and documentation through some rigorously designed clinical studies. Ideally, to obtain the most effective remedies, see a professional homeopath (see www.homeopathy.org), who will attempt to assign remedies based on your unique symptoms. However, if this is not feasible, many homeopathic remedies are indicated for UTI’s, including Aconitum napellus, Apis, Berberis, Belladonna, Cantharis, Equisetum, Eupatorium purpureum, Mercurius vivus, Nitric acid, Nux vomica, Pulsatilla, and Sarsaparilla. To make decision-making less complicated, many readily available, urinary or bladder homeopathic products have combined a number of these individual remedies. For example, Progressive Laboratories (Irvine, TX), who markets the aforementioned D-mannose, sells a homeopathic combination product that combines six of these individual remedies. Do yourself a favor. Help preserve the power of life-saving antibiotics by using when prudent more natural alternatives to enhance urinary tract health. Reclaim responsibility for your own health and educate yourself on these alternatives. You won’t receive this information from physicians, who receive most of their education on medicines from the pharmaceutical industry and who have had little training in nutritional, herbal, or alternative healing approaches. With these inexpensive, often surprisingly effective, safe alternatives, there is little to lose and potentially much to gain. Resources: Most of these alternatives can be readily obtained from nutritional stores or Internet sources. For D-mannose (MannoplexTM) and the homeopathic remedy referenced above, call Progressive Laboratories, (800) 527-9512.